Image: “Sen. Bernie Sanders 5532” by Randy Bayne is licensed under CC BY-NC-ND 2.0. With 2020 just around the corner, the national election cycle has begun to start up again with Democratic presidential candidates coming out of the woodwork. Elizabeth Warren, Kamala Harris and recently, Amy Klobuchar, have all put their hats into the ring, pandering to Americans who wish to see Trump kicked out of office. Within just a few years, the president has become very unpopular with many Americans who see him as cantankerous at best, and an incompetent despot at worst. However, many voters have felt disillusioned since 2016, when the final choice for the presidency boiled down to a center-right, neo-liberal Democrat, and a proto-fascist Republican. This is indicative of the general mood American voters have had for years now, where people have grown fatigued and frustrated with the status quo of the two party system. These same feelings led to the campaign of Vermont Senator Bernie Sanders, whose campaign sent shock waves throughout the halls of Washington and across the entire country due to his call for political revolution in the United States. Now, undaunted by his defeat in 2016, Senator Bernie Sanders has announced just a few days ago that he is running for president in 2020. In order to defeat Trump, and the proto-fascism of those who support him, it is imperative that American voters put their faith in Bernie Sanders and not the other neoliberal democratic candidates; and many Americans already have. Just 4 hours after Senator Sanders announced his campaign at the time of writing, he has raised more campaign contributions than any of the other official candidates, many of which were not millions of dollars of corporate money, but grassroots donations on average of $27. If this explosion of success means anything, it means that the American voting public is hungry for radical change because the problems that Americans face today demand radical change: the student debt crisis, unemployment, unchecked corporate power and avarice, dark money in politics, the opioid crisis, mass incarceration, systemic police brutality against blacks and hispanics, the decline of labor-unions, the endless war in Afghanistan, the crisis of climate change, equal pay for women and single payer Medicare for all just to name a few. What’s more is that Senator Sanders realizes something important, and that is that genuine change in society never comes from concessions made by the powers-that-be, but instead by the people. This has been entirely lost on the other Democratic candidates who have continued their rhetoric of patronizing platitudes and headpatting, like Amy Klobuchar. For example, during a CNN town hall this week, when asked the question of whether or not she would support subsidized four-year colleges by a college student, she responded with an answer that had almost no substance to it and then proceed to be very condescending towards the student for asking the question. Meanwhile, Senator Sanders has proved throughout his entire political life that he has been willing to take a stand for radical change, even at times when it was dangerous. 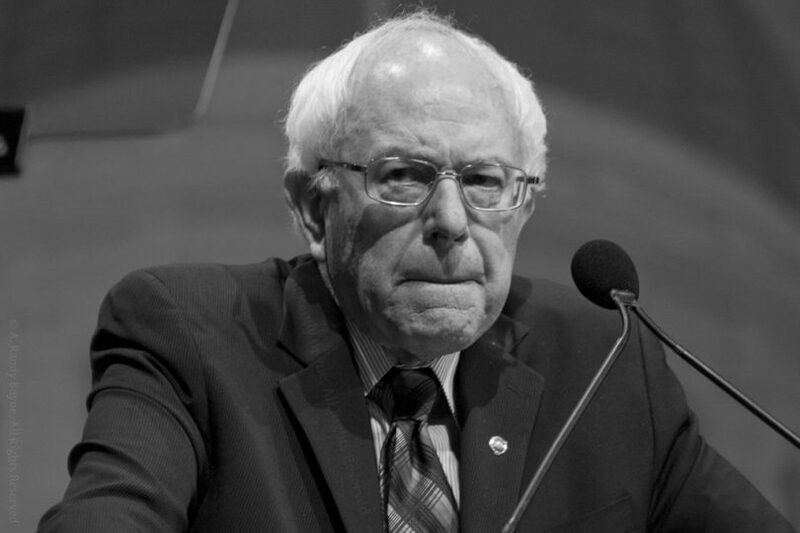 During the 1960’s, Bernie Sanders protested the segregation of schools in Chicago and participated in the March on Washington led by Martin Luther King Jr. During the first gulf war in 1991, Bernie Sanders was one of the very few senators to vote against the military intervention in Iraq, and then during the U.S. invasion of Iraq in 2003, Bernie Sanders lambasted the invasion and eventual occupation of the country. When the Clinton administration passed the discriminatory Defense of Marriage Act, he was one of the handful of Senators who opposed it. In 2020, it is imperative that the American voting public rally behind Bernie Sanders in order to unseat the dangerous threat that the Trump administration presents, and to hold Washington accountable, so as to create the radical change that this nation so desperately needs to ensure and promote the general welfare of the American people and not the rich and powerful elite.